A Catalytic Oxidizer is designed to treat volatile organic compounds (VOC), hazardous air pollutants (HAP), noxious and odorous emissions. A catalytic oxidizer uses a bed of catalyst to achieve oxidation of VOCs at a much lower temperature than a thermal oxidizer. As a manufacturer of catalytic oxidizers, CPI offers extensive knowledge - in both oxidizers and catalyst technologies - necessary to achieve the most complete and cost effective elimination of VOC's. The CPI Catalytic Oxidizer combines a low-temperature oxidation catalyst, primary heat exchanger, and an efficient combustion system in a convenient integrated package. These systems are easy to install, provide very high removal efficiency, and offer very low operating cost. With zero moving parts in the reactor, the CPI Catalytic Oxidizer provides the highest uptime reliability. Catalytic treatment of VOC's and other air pollutants works by reacting the harmful air pollutants over a specially designed catalyst where VOC's are converted to CO2, water vapor (H2O), and usable heat. These harmless byproducts are passed through a heat exchanger where the gas streams energy is transferred to the incoming exhaust. The Catalytic Oxidation Process starts by incorporating a booster fan to draw one or more VOC-laden exhaust from your process lines into the system. 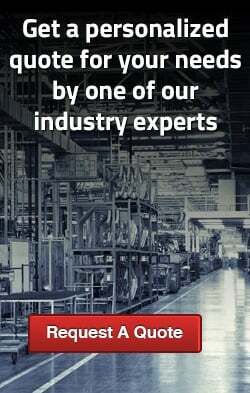 From there, your process VOC laden exhaust is directed to our unique stainless steel primary air-to-air heat exchanger where energy is transferred to the process exhaust before passing through to the preheat burner. The main heat exchanger can eliminate the auxiliary fuel required for operation. A pre-heat burner is used to maintain the desired catalyst inlet temperature precisely. The burner is designed to promote mixing of the exhaust gasses with oxygen when fired through our specialized burner plenum. This innovative design provides the highest degree of flame impingement and high-velocity mixing, leading to airflow and temperature uniformity for which CPI Catalytic Oxidizers are known. 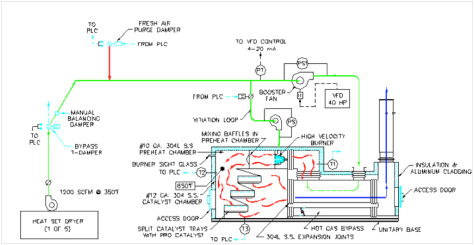 The pre-heated exhaust stream enters the catalyst bed and reacts with any of the specially selected catalysts where an exothermic reaction occurs, leading to complete combustion of the VOC's. The oxidation of hydrocarbons (VOC's) results in harmless byproducts, water vapor, and useable heat. The catalyst induced ionization level for most VOC's occurs at temperatures between 400 F and 750 F. This is sufficient to achieve conversion of VOC/HAP pollutants in excess of 99%. Here the hot – cleaned exhaust is sent to the primary heat exchanger to give its heat up to the incoming exhaust gas for pre-heating purposes. After the primary heat exchanger, the cleaned exhaust is sent to atmosphere or to auxiliary heating systems such as; secondary air to air recovery, air to water recovery, or directly back to the process in a closed loop direct recirculation process. The Catalytic Oxidizer is applied to a broad range of industrial processes. 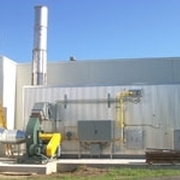 CPI Catalytic Oxidizers meet today's environmental challenges by using the most cost effective manufacturing techniques to bring to industry reliable pollution control systems that offer lower capital costs, simplified installations, and minimal maintenance. Integrating all the major components into one unitized system saves on field installations, improves reliability, and lowers the overall costs of air compliance. The CPI Catalytic Oxidizer System utilizes only the highest quality components. From the all stainless steel mixing and combustion chamber, the heavy-duty, heat exchanger, the specialized burner system, to the catalyst system, each component is contained within a well insulated, maintenance-free exterior designed for long life and low costs. Each CPI Catlalytic Oxidizer System is custom engineered and built for maximum performance and flexibility. Therefore, the catalyst is selected based on the ability to provide the highest performance and longest life. The catalyst choices can include platinum group metals on a pourable bead or a monolith support. Each group offers individual benefits for each application. For beaded catalyst products, poison-resistant catalyst provides resistance to many common contaminates while low-temperature formulations allow minimal fuel input. The most noticeable advantage about CPI Systems is found in the innovative, split-bed containment system. The catalyst is contained in a specially developed catalyst tray that offers partial catalyst replacement, faster inspections, cross-sectional analysis, and longer life. Monolith Catalyst groups are used for general industrial applications or for specialized emissions such as halogenated VOCs and others. 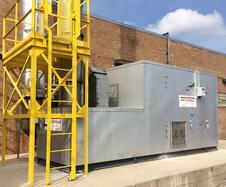 CPI Catalytic Oxidizer Systems lead the industry with the lowest operating costs. 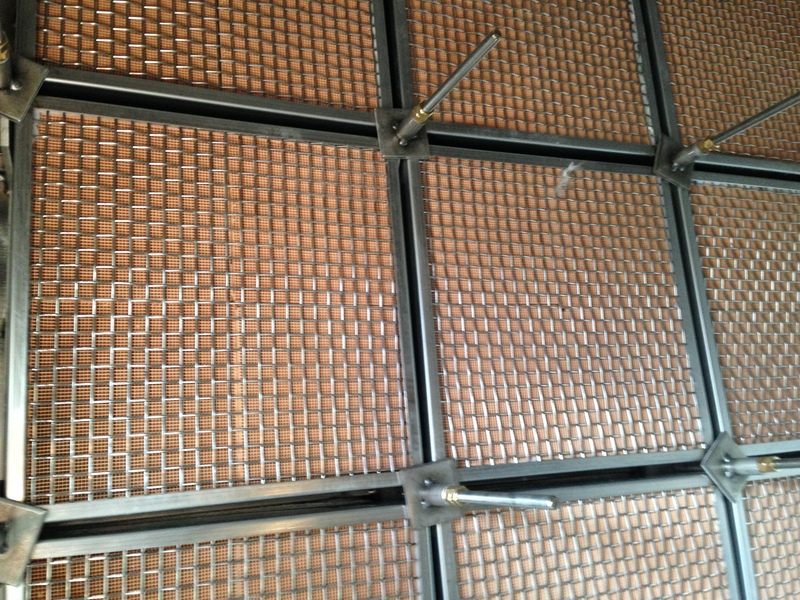 The primary heat exchangers are made of all high-grade stainless steels and incorporate our unique floating plate expansion system. This unique design provides for long life, high efficiency, and the ability to accommodate the highest solvent loads. Catalytic Oxidizer heat exchangers can be designed with thermal efficiencies in excess of 80% and can be equipped with fully automatic hot gas or cold gas bypass dampers for self-sustaining operations. The CPI Catalytic Oxidizer System is fabricated entirely of stainless steel alloys designed to prevent embrittlement and fatigue. The entire unit is continuously welded to eliminate hydrocarbon leakage and provide the highest uptime reliability. All the interior components are fully insulated with a high quality lining system designed to reduce heat losses for continued energy savings. Every CPI Catalytic Oxidizer system is integrated to our customized PLC-control panel called TSS. TSS communicates with the CPI system and your process for optimal performance, safety, and reliability. TSS optimizes fuel efficiency by managing temperatures, controlling drives, and positing valves. This user friendly system provides automated operations, one button start-stops, self diagnostics, and data monitoring options for simplified maintenance and compliance verification. Catalytic Products International, Inc. has vast processor experience and can integrate any industrial processor into your operations. Provides a method of controlling the oxidizer under high VOC conditions and ensures VOC destruction is maintained without cause for high-temperature shut-down. Ammonia Removal System - VANGUARD Series Catalytic Oxidizer can treat either liquid waste or air borne pollutants with very low conversion of un-wanted oxides of nitrogen byproducts.